Reg $28. 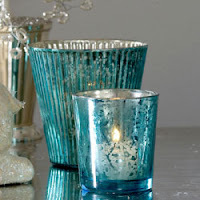 Mercury glass is way popular right now. Three ridged and three smooth—scatter them around for instant glitz. From Wisteria.